The third movie in the modern Christopher Nolan Batman franchise has been titled, and a prominent villain ruled out of it. Since Christopher Nolan has been at the helm of the Batman movies, his Batman has already begun and successfully returned as a dark knight. In the upcoming third Nolan Batman film, the dark knight is going to rise. Nolan revealed to the LA Times that his next movie will be called The Dark Knight Rises. He and his brother Jonah have written a script which is based on a story conceptualized by Nolan and David Goyer. The Riddler has been thrown around as the logical next choice for a villain after the Joker, who definitely won't be back, but Nolan also shot down the hopes of green, question-mark adorned clothing fans. He confirmed that the Riddler won't be in The Dark Knight Rises, but gave absolutely no hint about any deviants that would. 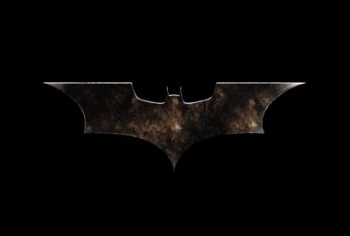 It's rumored that Catwoman will make an appearance, but this is unconfirmed. The Joker was what made The Dark Knight stand head and shoulders above Batman Begins for me, so I'm wondering what kind of antagonist can reach the same level, or even close to it, in Rises. Nolan did say: "We'll use many of the same characters as we have all along, and we'll be introducing some new ones." Really, if it's not going to be the Riddler, it has to be the Penguin. He might have a cute name, but Nolan could easily take the character to a dark place as Tim Burton did in Batman Returns. Edit: I've been reminded that the Penguin has already been ruled out. Woe is me. Thanks for the tip Frank_Sinatra_!